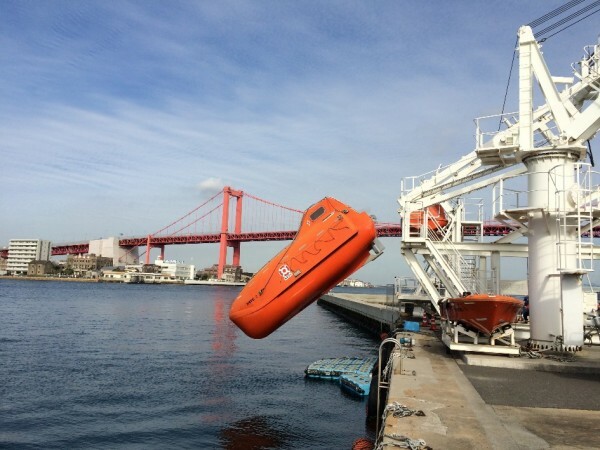 There are two types of lifeboat for the training in Nippon Survival Training Center. 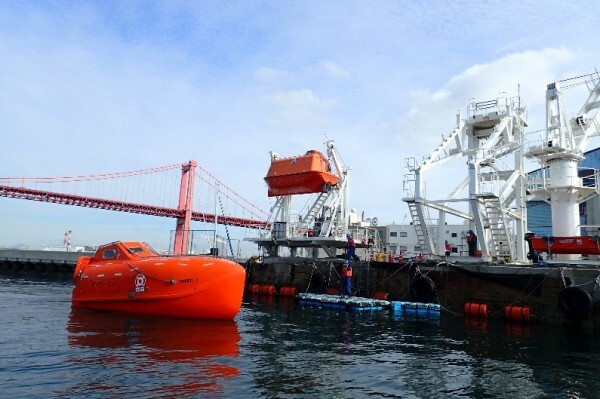 The beautiful orange lifeboats facing Dokai-bay atrract people’s eye even from the Wakato Bridge. 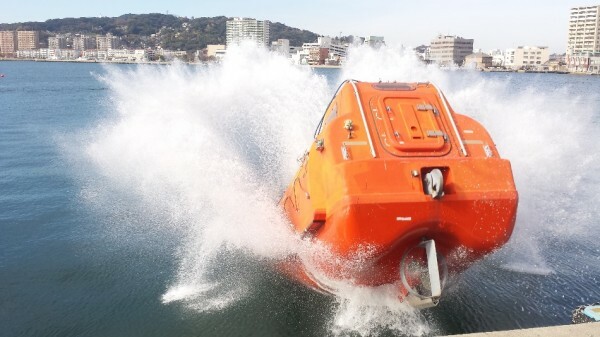 One of the boats are Freefall Lifeboat, ‘NSTC-2’, and it is the only freefall lifeboat in Japan that can be launched with man onboard for practical purpose. This ‘NSTC-2’ has achieved 100th launching on December 9 when she was launched during the STCW training. 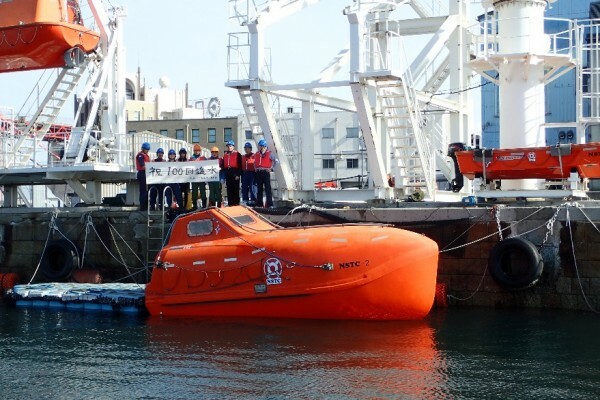 She will mark 5 years since the establishment in March, 2011, NSTC staff will do their best to deliver the training with safety in mind and wish that the lifeboat can “save life” just like it sounds.